Team unity is by far and away one of the most important characteristics of any sports team and that is why it is so important that you focus on getting this just right. As history has shown us time and time again, a team of excellent individuals who are not working in sync with the rest of the team, will almost always be vanquished by a collection of weaker individuals working for one another and as a united front. If your sports team needs some encouragement when it comes to togetherness and team unity, here are a few options which you could consider to bring them that little bit closer to one another. The obvious choice here is to organize some team building activities with your sports team. The choices as to which activities you and your team take part in will very much depend on how much time you have on your hands. 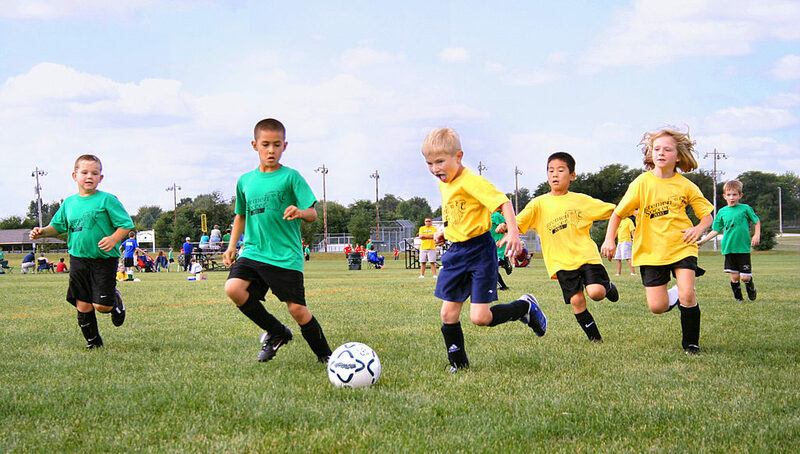 If it is a school team for example then you may be restricted to weekends, if it is a professional team however then you will have much more time to play with. A team building activity can be anything from paint balling to going on vacation together, the key to it is putting your team in a position whereby they must work together in order to achieve something. The more testing and the more challenging the activity, the better chance of success you will have. Looking and dressing the same is also a key feature of a team unit and so you could spend a small amount of money and get some off-the-field outfits for your squad. If you check out OnTheGo custom t shirts you can get some great deals on training tops, t shirts, sports jackets and a whole range of options which will ensure that your team looks like one both on and off the field of play. When a team arrives for a game and they are all dressed as one, the opposition will know that they are facing a team, and not just a collection of athletes. Something which can often happen in a team, and cause friction as a result, is that people will form cliques with their favorite people in the team, and it can end up leaving people excluded. The best way to either avoid or to end this type of separation into factions is to use a buddy system or create small groups in the team, yet using people who perhaps aren’t great friends with one another. In doing this you will be forcing people together and ultimately forcing them to learn about one another, something which will in most cases greatly help the team. If you are able to implement any of these strategies then the result will be a team unit who work hard for one another and who want to win together. If you can unlock the key to a tight team, then you will find plenty of success.